Since 1868, Scotts® has been producing High Quality Grass Seed. 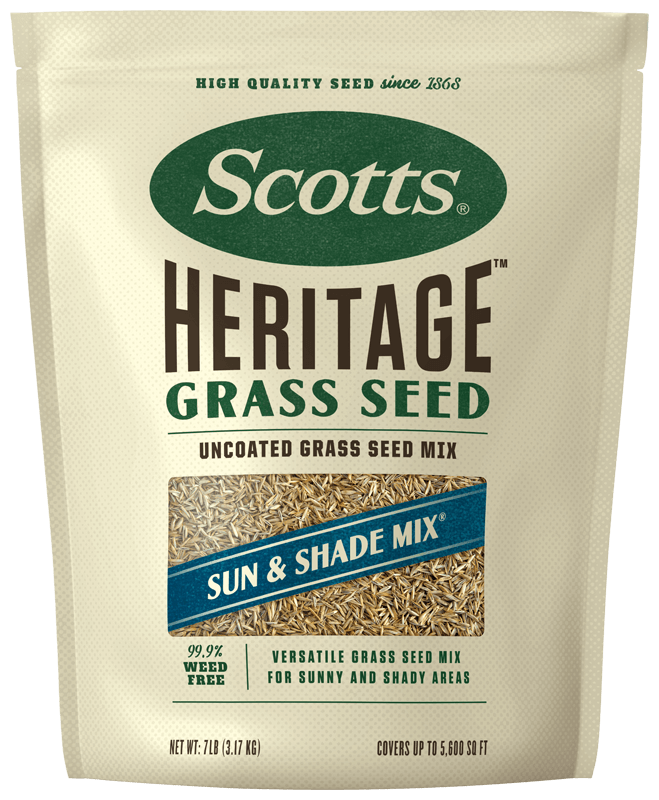 Scotts® Heritage™ Grass Seed Sun and Shade Mix® continues in that tradition. This high-quality, uncoated grass seed has been designed for sunny and shady areas. Provides coverage of 5,600 sq. ft. for reseeding and 1,865 sq. ft. for new lawns. Just apply with a Scotts® spreader and start to see growth in 5-10 days. Provides coverage up to 5,600 sq. ft. for reseeding and 1,865 sq. ft. for new lawns. After opening the package, use the seeds within the season. Store in a cool, dry place.